The book is obviously influenced by Frantz Fanon and Karl Marx. 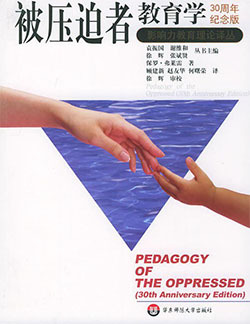 The author proposes a pedagogy with a new relationship between teacher, student, and society. The methodology of the late Paulo Freire has helped to empower countless impoverished and illiterate people throughout the world. His work has taken on especial urgency in the United States and Western Europe. Brazilian educator and philosopher. He worked wholeheartedly to help people both through his philosophy and his practice of critical pedagogy. His work has influenced people working in education, community development, community health and many other fields. In 1963 he was appointed director of the Brazilian National Literacy Program, but the next year he was jailed following a military coup and went into exile. In 1979 he returned to help found the Workers Party.